In a previous article, we had use an Arduino + RF433 chip + DS28B20 to come up with a cheap temperature sensor. We are going to improve the setup by replacing the Arduino Pro mini by an ATTINY85. 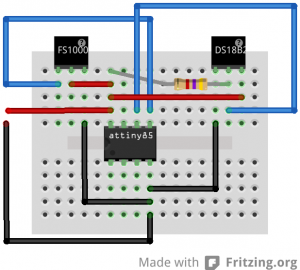 See here on how to flash an ATTINY85. See rf433_sendOOK_at85 for the code. Note that power consumption will be as low as 0.005ma (5ua) with a peak at 18ma when reading temp. 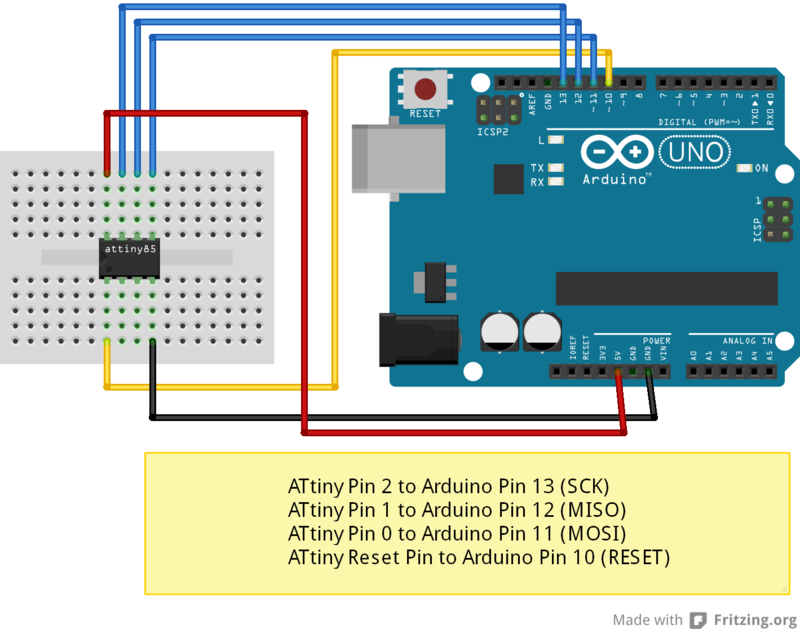 See below a revised wiring replacing the Arduino by an ATTINY85. 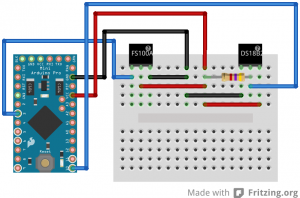 In previous article, I made a cheap temperature probe using an arduino pro mini. Still, the arduino pro mini is a bit overkill and i would like to keep it for prototyping my projects, not on « live » projects. Sounds perfect for my needs ! Lets have a look at the pinout. 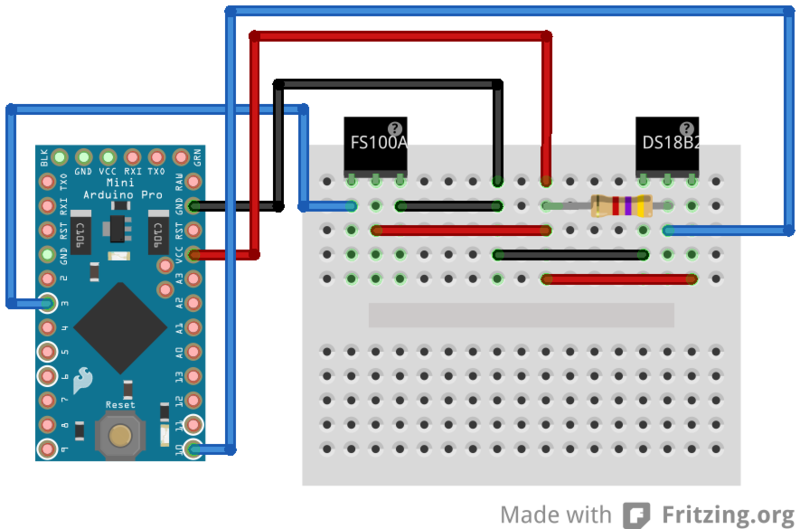 To flash this baby, I decided to use my arduino uno r3. See below a quick how to. Lets see how to wire our attiny85 to your arduino. 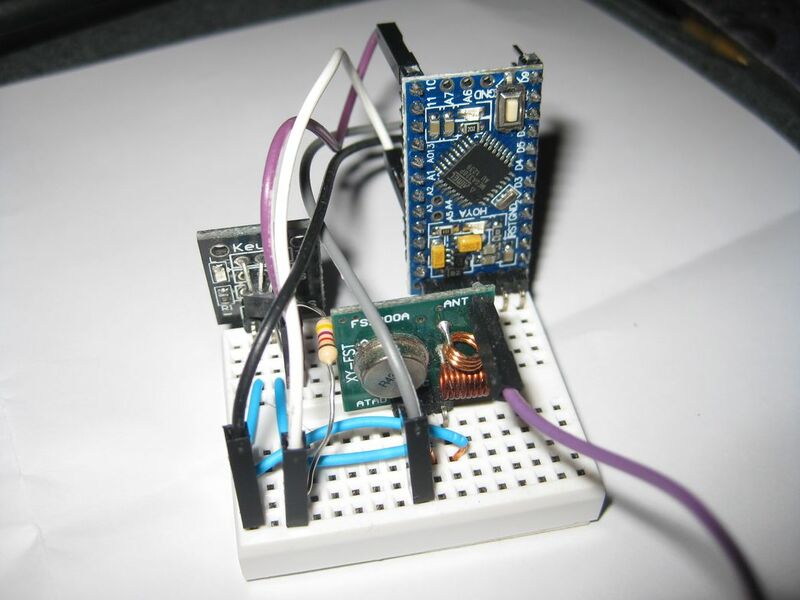 In a next article, we will see how to adapt this article for attiny85. Hint : if you are getting the error « relocation truncated to fit », have a look here (and see to replace your ld.exe).